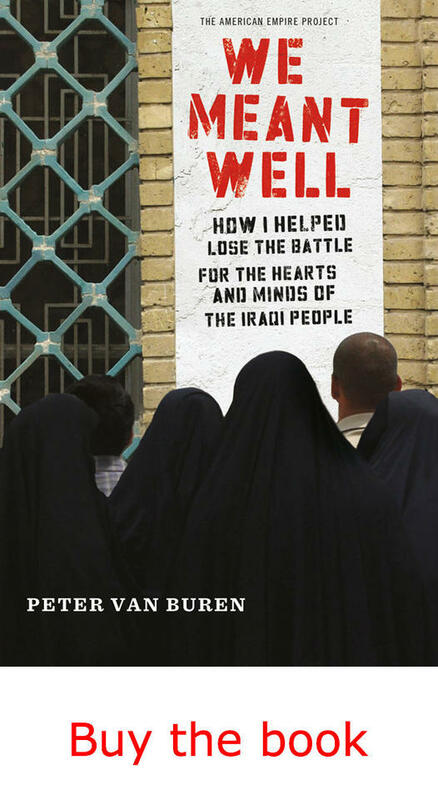 Peter Van Buren blew the whistle on State Department waste and mismanagement during the “reconstruction” of Iraq in We Meant Well: How I Helped Lose the Battle for the Hearts and Minds of the Iraqi People. A TomDispatch regular, he writes about current events at We Meant Well. His latest book is Ghosts of Tom Joad: A Story of the #99Percent. His next work will be Hooper’s War, a novel of World War II in Japan.